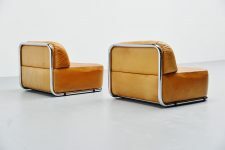 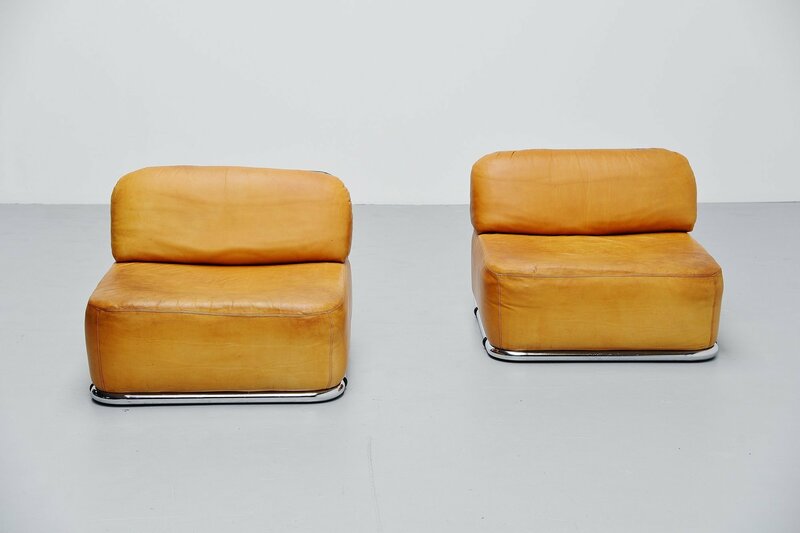 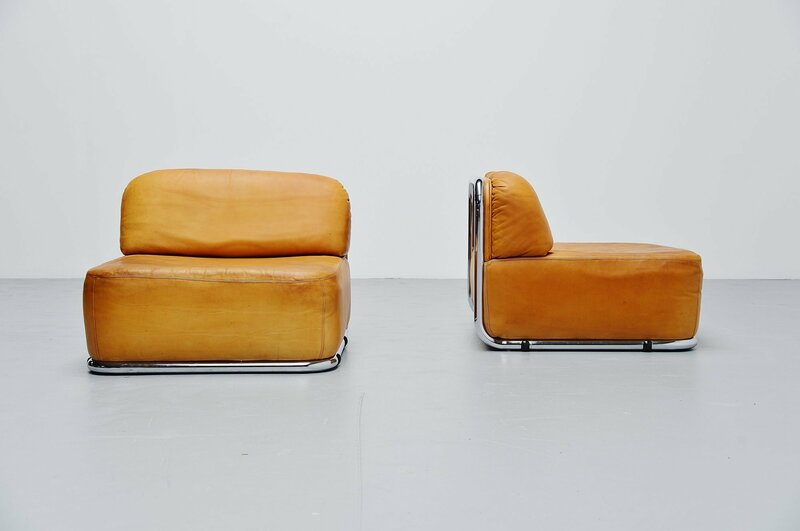 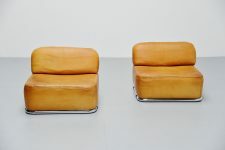 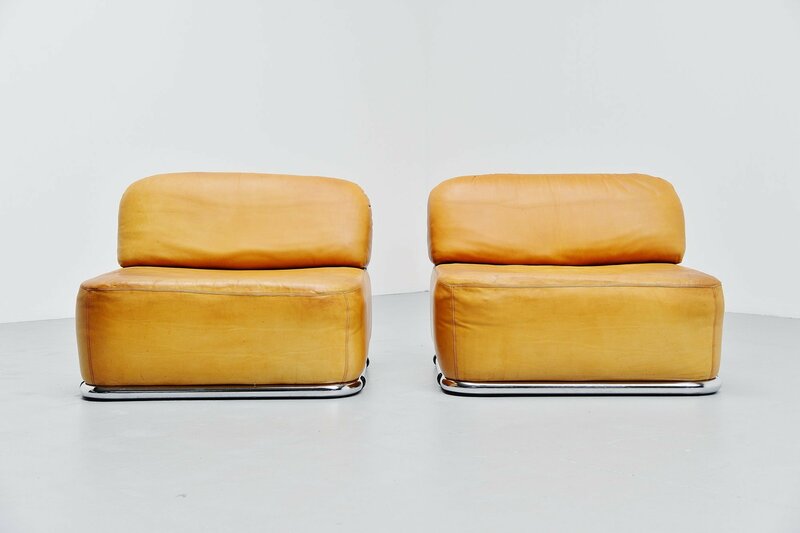 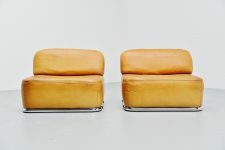 Very rare lounge seat elements model 615 designed by Geoffrey Harcourt and manufactured by Artifort, Holland 1973. 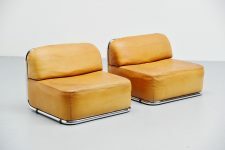 These elements have a chrome tubular structure frame and very nice colored natural leather seats. 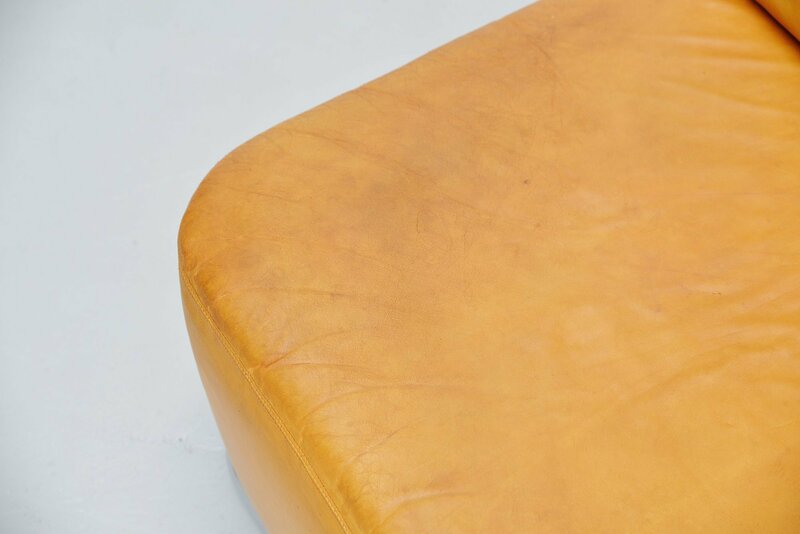 The leather has a very nice patina from usage over the years and is still in good comfortable condition. 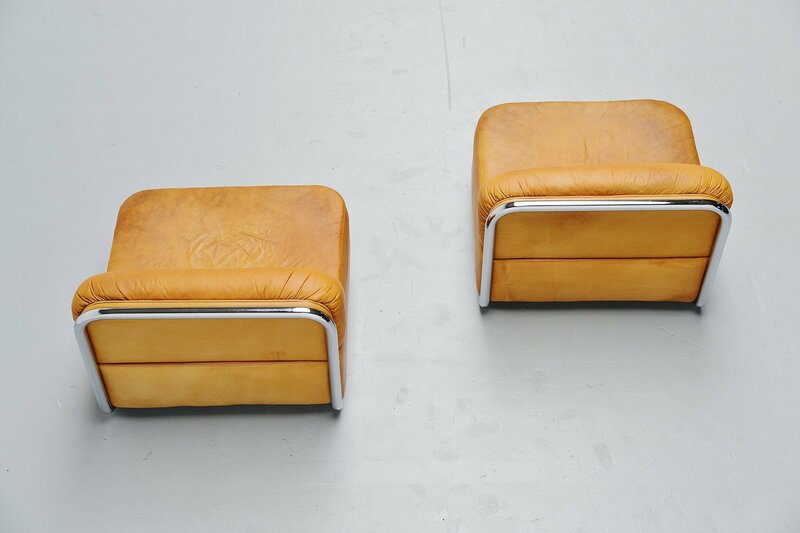 The chrome frame structure is perfect and it has 4 black plastic protection feet per element. 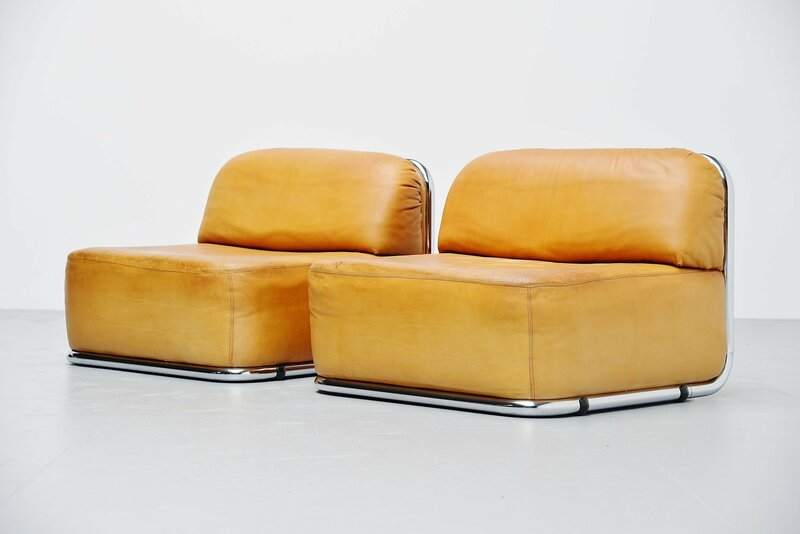 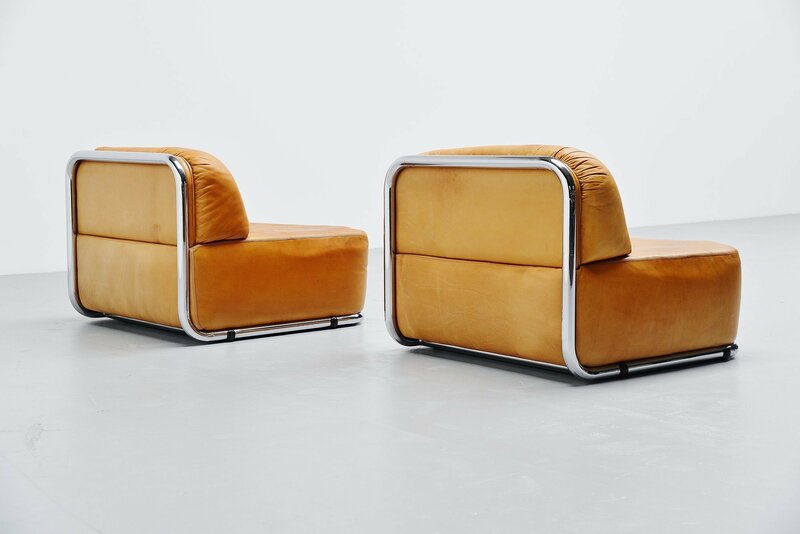 Both elements are marked Artifort on the bottom, these elements have a very cool typical seventies look and are extremely hard to find. 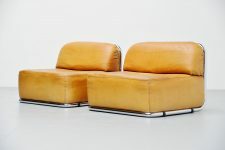 Luxury comfort in seating and a diamond to meet the eye. 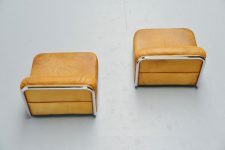 These are priced and sold per pair.